Serving as a Volunteer Chaplain at the site of the World Trade Center Tragedy, Ground Zero, has been the experience of a lifetime. Those who have known that I’ve been engaged in this capacity have asked many questions. These have been difficult to answer. How does one write about such horrific scenes? How does one appropriately write about the destruction, especially against the backdrop of the violent acts that caused it? How does one write about something, which is beyond comprehension? How do you describe the indescribable? Though I have some reluctance in doing so, these lines are written in an effort to provide one perspective on a portion of what I observed and experienced at Ground Zero. Hopefully, this will enable others to be better prepared to give aid and comfort to the scores of people that have been personally affected by the tragic events of September 11, 2001. 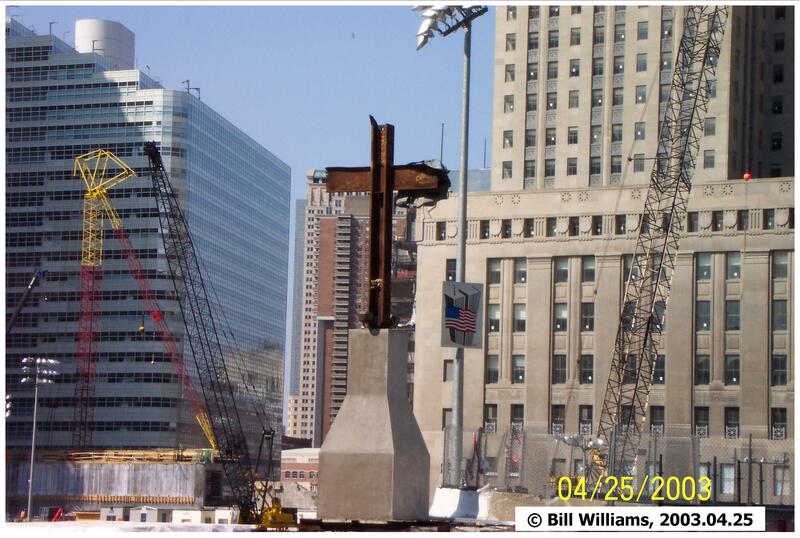 The images on our television screens only hint at the stark realities of being at Ground Zero. Standing at the scene and contemplating the trauma, pain, grief, and human suffering is like nothing I’ve ever experienced. No. It’s like everything I’ve ever experienced compressed into one mind-numbing sequence of surrealistic scenes. Almost two days have passed since I was last at the scene of the carnage. Being there remains with me, though, in the most unusual way. You see, as I sit before the computer composing these lines, the taste of Ground Zero is still in my mouth. I will not attempt to describe this taste. It is beyond my capacity to do so. I also do not want linger very long on such thoughts, but they are a part of the context which shapes these words. Because the images, sounds and smells are indelibly etched on my memory, it would be easy to become fixated on the devastation. I must remind myself, from time-to-time, not to do so. My exposure to the scenes at Ground Zero makes my heart heavy for those who have been and are working there day-after-day. They do not have the luxury of focusing their energies and thoughts on the other, more normal things of life. I’ve looked into their eyes and seen quite clearly the toll that the long and exhausting shifts are extracting from them. For these already weary workers, there is very little down-time. Dealing with disaster on a daily basis has become their new normalcy. This, too, is yet another tragedy. Amidst the destruction at Ground Zero, I have been surprised to encounter something wonderful. When gloominess begins to engulf my thoughts, this discovery has proven invaluable. All I have to do is to reflect on the faces of many of the people I’ve met on the scene. Most will remain nameless to me, though I take solace in the fact that God knows their names. In my mind’s eye, I still can see the loving, cheerful faces of volunteer workers at the feeding stations. People from throughout the United States, Canada, Europe and other points on the globe have rallied to the cause. I also see images of the site workers from all walks of life. Their dust-covered, determined faces are permanently lodged in my memory. The steely sincerity of a host of police officers, along with the tough, but tender, persona of the firefighters, will never leave me. And, yes, there are the kind people standing in the median on West Street to cheer the workers arriving and departing from Ground Zero. They will never know how their home-crafted signs have blessed those who are passing by. Wonderful, indeed, are the faces I still can see. Each one is an oasis of beauty in the desert of destruction, which is Ground Zero. Etched into the lines on every face is a story. Understanding these stories should help us to be of some benefit to the people traumatized by the events of 9/11 long after the wreckage is cleared. To be sure, they will need our help! In the following lines, I share some reflections on a few of my interactions with workers at Ground Zero. There are thousands of stories, which could be told by many others. To be certain that no ones privacy is violated, the names are fictitious. Each story, however, is thoroughly authentic. They are sent your way in an effort to shed some light on what it is like to daily deal with the aftermath of this disaster. There was the construction foreman. We will call him Jerry. Just four weeks after the day of destruction, we sat in the shadow of the mammoth red crane used, among other things, to hoist workers in a cage over the tangled wreckage. He was there to do a job. He was determined to do it well. We stood on the dust-covered road near the intersection of West Street and Liberty Street looking at “The Hill”. I asked him about the progress being made. He turned from where we were standing and pointed a beefy hand toward a boarded up window on the second floor of the Two World Financial Center building behind us. My final image of Jerry is that of his stocky figure marching, as though he was a soldier, into the pit at Ground Zero. And there was the immigrant sanitation worker from the Dominican Republic. We will call him Alberto. I was surprised to see him there. Though, after giving it some thought I realized that he, along with his co-workers, were crucial to the work being done at Ground Zero. With thousands of people working at the site, there are mountains of run-of-the-mill garbage to haul away. We talked about the Lord a little longer. He finished his soft drink and, with a surprising spring in his step, he returned to his truck and drove away. And then there was Jake. Each time I think of him my heart pounds a little faster. Tears fill my eyes. Jake is a member of the New York City Police Department. In fact, he is a Crime Scene Investigator. He told me his investigative team arrived soon after the events began to unfold that Tuesday morning. The day that I talked with him in the relative privacy of a Salvation Army tent erected on Church Street was almost two months after 9/11. He indicated that he had not yet been able to talk about the events of that day. With a look in his eye that resembled what is known in military circles as “The Thousand-Mile Stare,” he opened up, but only ever so slightly. Jake then stated in a subdued voice, “My partner and I began to run. It was terrible. Everything was moving and shaking. Sidewalks were collapsing. It was terrible—just terrible.” Then he turned his head towards me. When our eyes met, he quickly looked away. He stared at the nearby wall covered with handmade cards lovingly crafted by children from across the nation. He said that the scene was just too horrible to think about. At this point we both knew that our conversation was over. There was really nothing left to say. First we shook hands. Then we hugged. He then carefully filled a Styrofoam cup full of coffee and sat down with two other police officers. I went to stand by the concrete barricade on the western side of Church Street. I looked down through the rubble into what once was a multi-level, underground parking garage. The noise of the heavy equipment roared in my ears. I did the best thing that I knew to do—I prayed. God willing, a memorial will one-day be erected at Ground Zero in honor of all whose lives were taken from them on September 11, 2001. This memorial will also recognize all those who bravely served during the recovery and clean-up stages of the disaster. They are many. My hope is that these lines have helped you to learn more about a few of them. May we never forget. To read the Christian Chronicle five-year-anniversary article by Erik Tryggestad click HERE.